After putting in 43 hours of research and testing 12 earbuds for gaming, we’ve concluded that Mad Catz E.S. Pro 1 is the best gaming earbuds in 2019. It doesn’t compromise on any feature at all. These are the real deal and in fact, is designed specifically for professional eSports players. It does function like bulky headsets but minus the large pads on each ear to give you the best comfort and experience altogether. If this doesn’t buy you, the ActionPie VJJB-V1S will. Read on to know why. The gaming earbuds for gamers. It comes with a wide range of sound and organic bass response on top of a full volume and mute controls. You have full control and on point music output for an out-of-this-world gaming experience. Everything about the Mad Catz E.S Pro 1 is designed for gamers. In fact, this is specifically designed for the eSports gaming community. The design is carefully thought of to make sure this provides just about everything gamers will ever need. It also boasts a flexible boom microphone that you can conveniently adjust along with a volume and mute control to give you full control of the music output. At a glance, you’d mistake these as premium earbuds but they aren’t. In fact, these high-resolution heavy bass earbuds cost less than $20 and still try to make it up for features other than looks. Although this guarantees an amazing sound quality and bass, they still lack some features here and there. It’s hard to believe these aren’t premium earbuds. On the get-go, the design of the ActionPie VSSB-V1S doesn’t look cheap at all. In fact, this has features that you could only find on more expensive earbuds and headphones like the angled sound channels. To top that off, these things have 4 drivers in total (2 on each) to give you the best possible sound and bass quality. You get premium feels and quality bass response. The build is just entirely at the top and both gaming and listening to music assures quality and a premium experience. This could have been our pick if not for issues relating to quality inconsistency. The Razer Hammerhead Pro V2 didn’t compromise on anything. 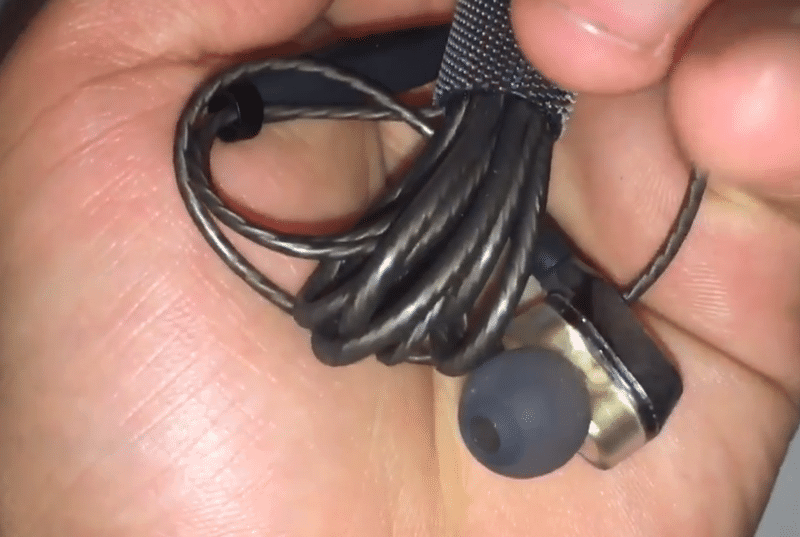 Both earpieces of the earbud are made of aluminum. You may think it’s the deal breaker but looking at the other side of the table, it’s not that great. Like most of the Razer peripherals and merchandise, this comes with a Razer logo that does a pretty good job of being discrete - which is good. The volume controls aren’t quite as well-built like the earbuds since these are made out of plastic. Nonetheless, they still feel very solid and sturdy. Some would be surprised to see an earbud that’s more inclined towards music-listening than gaming on our list. It’s not just here to show off but it’s actually a contrast to the GranVela G10. This may lack a bassier output but is more than capable of giving you a more detailed sound. We were blown away by what these things can and can’t do. For starters, these aren’t your ordinary gaming earbuds. It’s more oriented to music listeners than gamers. But it has a very similar music output with the GranVela 10 - minus the bass. 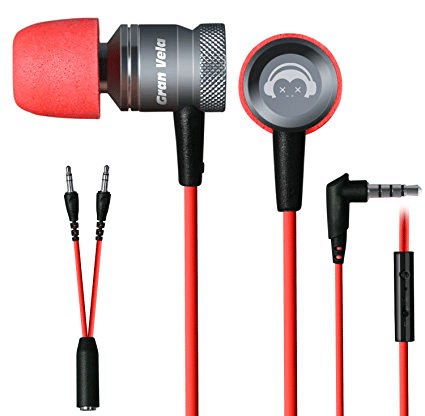 Using these earbuds for gaming purposes may not give you the most outstanding music quality and output but it’s quieter and more detailed to greatly boost your awareness to a wider range. The difference could make or break your gaming experience, depending on which games you usually play. It may be the cheapest gaming earbuds on the list but like the rest of our budget picks, it offers more than just being affordable. The GranVela G10 provides you with 2 bass drivers, a microphone, and an adapter. This 2019, if you want to up your gaming experience but on a tight budget, the GranVela G10 has everything you need. For the price of less than $15, you have a gaming earbud that comes with 2 bass drivers for a quality gaming experience. Gunshots are crisp and it’s surprising that you can easily distinguish the details of your immediate surrounding when gaming. To top that off, these aren’t made out of cheap plastic material but rather, it’s made of aluminum. We initially went straight to customer feedback and reviews but guess what? We don’t want to miss anything at all. 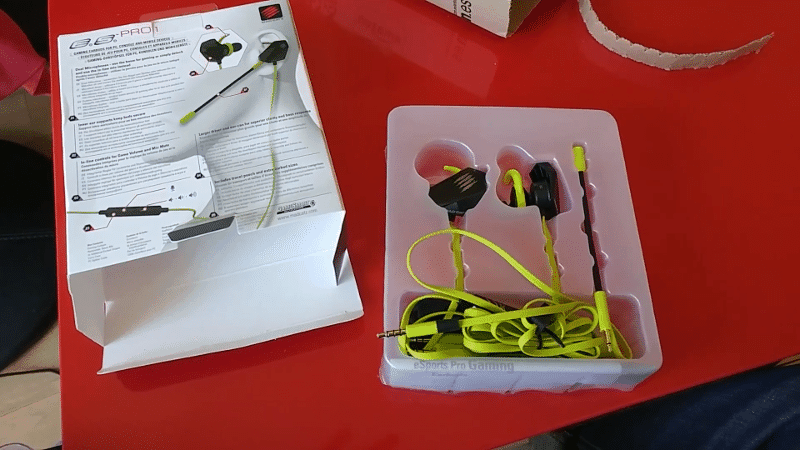 So we took a huge step back and sifted through all the names of companies that specialize and market gaming earbuds to see what’s the recent pair they had released. After gathering the list of names from these reputable companies and manufacturers, we then consulted a number of professionals that review these kinds of technologies like Unbox Therapy, TechRadar, Digital Trends, CNET, and PCMag - to name a few. From there, we then went to Best Buy, Amazon, eBay, New Egg, and other credible online retailer site reviews to check what actual consumers had experienced and what they had to say about the product. Not only that we carefully filter all 12 gaming earbuds according to these features but we also concluded which of them perform best in these criteria. We have the results in our conclusion section so check that out if that’s all that matters to you. Disclaimer: The gaming earbuds we tested were purchased were not sent or sponsored to make biased opinions or feedback. In headphones, speakers and other sound systems, “drivers” refer to one of two things: the software component that allows the device to be used with a computer and the hardware component that produces the sound in the headphones. Larger headphones typically have multiple drivers per-ear, each used for different frequency ranges. The more drivers you have, the “cleaner” your sound should be since you won’t have just one driver being over-stressed with too many things to do. 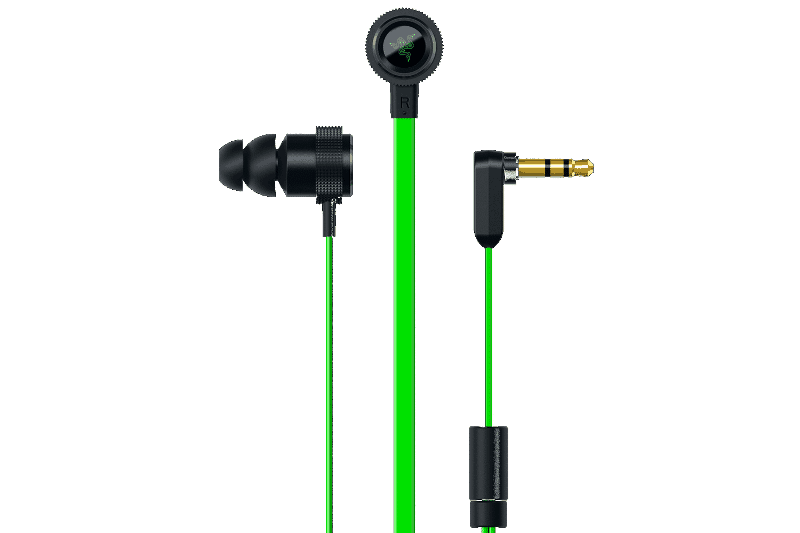 Because of the smaller, cheaper nature of earbuds, though, many units will only come with one driver or two. In general, the larger the driver and the more there are, the better your listening experience will be. In this context, we’re referring to an adapter that you can use to split your single headphone cable into two- one for your mic, and one for your headphones. This is because most PCs won’t be able to take both of those inputs from just one input, unlike most smartphones. Having this adapter included is a great feature that saves the user money spent on workarounds or just buying it themselves. Of course, a mic is also important for the purposes of communications. While you can also look into our collection of best microphones for gaming if you’re serious about that, having a mic in your gaming earbuds is much more convenient overall. We want to make sure we’re testing the earbuds right. So instead of the usual music listening experiment like we did to benchmark the earbuds at AudioCheck, we want to see whether or not they sound great when used for gaming. We played a lot of popular games today that specifically require audio to either win the game or at least improve your gaming experience or performance. To name a few, we played a lot of PUBG, Fortnite, Overwatch, Paladins, CS:GO, and Black Squad. The fact that these games need accurate sound detail to pinpoint where gunshots are coming from helped us a lot in evaluating the earbud’s performance. We carefully listened to a lot of gunshots and then evaluated which earbud produced the clearest sound quality. Moreover, we also evaluated which earbud produced the most accurate directional sound. We thought it would be the same but after a series of testing, we all agreed that the Mad Catz E.S Pro 1 gave the most detailed directional sound. 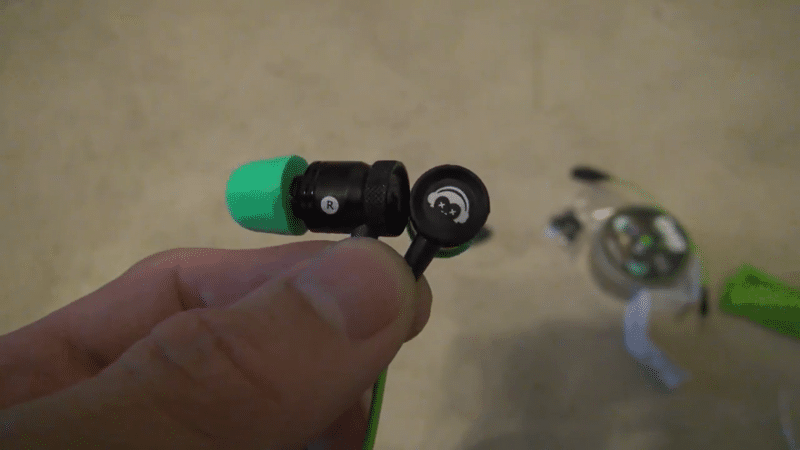 How comfortable the earbuds are and how well they fit was also tested. We did our best to sit comfortably and took note of which earbuds fell off, if any, got in our way, affected our gaming experience negatively, and more. In order for us to test the durability of the earbuds, we decided to get wet. However, it would be gross to purposely sweat ourselves just to test all 12 earbuds. So we did this the easy-and-clean-but-still-wet way - misting bottles. Gamers can get really sweaty just by playing games (not me). We mist the pair of earbuds every 20 minutes (plugged in and used) to see which among the 12 shows negative effects first or which dies out throughout the process. A lot died out during the process and we’re left with 7 that still works and functions perfectly. We also evaluated the extra features that come with the gaming earbuds to see whether or not they affect our gaming experience and comfort. It’s a tedious job having to test these out but we had a lot of fun in the process. After we timed in 43 hours of research and testing, we’re finally ready to show you the 5 best gaming earbuds in 2019. If you’re a gamer and you’re on the hunt to find the best gaming earbuds, Mad Catz E.S Pro 1 is here. Right off the bat, we noticed that these are not your ordinary earbuds based on the build and design. As we did further research, we found that these were specifically designed for the eSports gaming community. This has a 35mm audio cable that can be fitted and linked directly to PCs, laptops, mobile devices, and controllers. We also found 3 complete sets of earbuds with different sizes to make sure you get the right fit - not too big, not too small. Communication is very important when playing games. Instead of having 1 regular microphone, this comes with yet another microphone inside the controls on top of the obvious boom microphone that comes with it. We noticed that the right earbud has a rather longer cable as opposed to the left earbud (the one with the mic) so we suspected that it’s supposed to go around your neck. After using the earbuds for a while, the cable tugs the ear a bit and it’s somewhat annoying but not to the point that this becomes a major hindrance when gaming. We found these comfortable since it’s built with a hook that somewhat pushes in the insides of your ear so it could fit well and don’t fall off. As long as sound quality is concerned, use this only for gaming as they don’t do quite well in terms of listening to music. If you’re going to play competitive PVP games, this does a pretty good job at giving you small but major sound details like footsteps. The direction of sounds you hear is quite surprising. Instead of hearing footsteps from a general direction, you could tell where exactly are the footsteps coming from. For gamers, these details play a vital role and it’s a must to hear them in great detail. And for the price we paid, comfort, build, design, and quality of sound is never compromised. Get this if you’re all about gaming as these made it as our top pick for no reason. The moment we opened the box, we had a feeling that the ActionPie VJJB-V1S is going to sit among the top 3 on our list, and it did. The very first thing you’d notice is the drivers. It’s transparent so it’s hard to miss that out. Instead of the usual 1 driver each earbud, this comes with 2 6mm on each earbud - a total of 4 6mm drivers. You have 2 carrying cases out of the box. One is the soft carrying case (silver in color) that has a pleasant and premium pouch-like appearance and the other one is the hard carrying case (red and blue in color) that also has a carbon fiber texture and feel. Looking at the overall build, nothing is compromised. 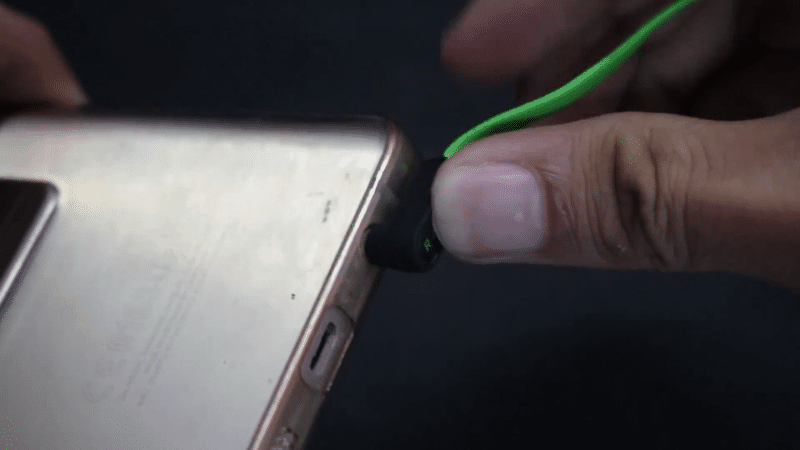 You have a very well-built earbud that outperforms most of the earbuds we have. In fact, the sound channels are purposely bent so it could ergonomically fit inside your ears. The cable has a rubber feel that’s also transparent. We found this great since they do a good job at keeping the cables from messing around or being tangled. 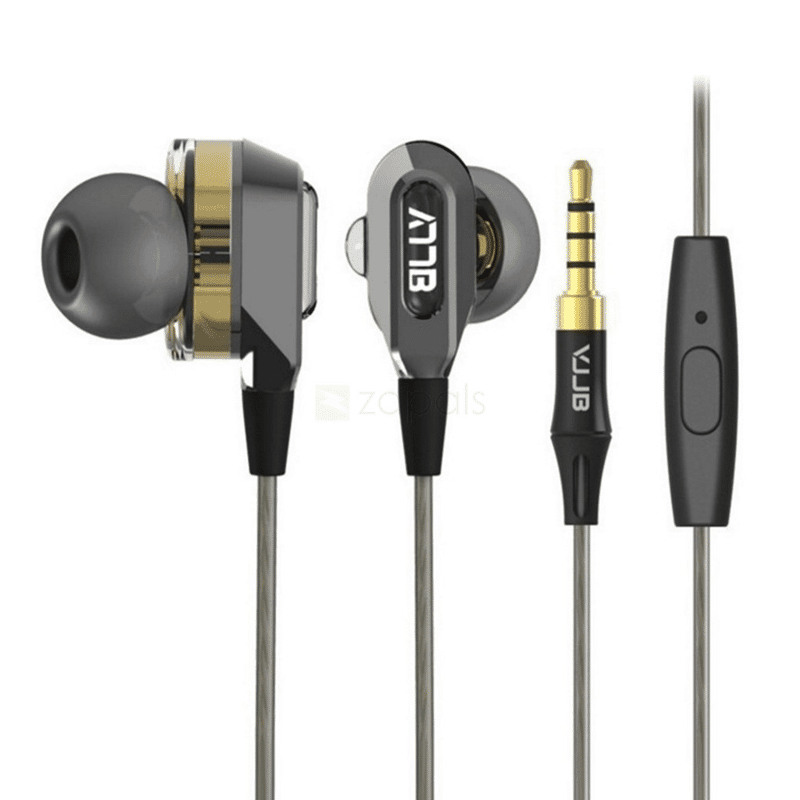 The 3.5mm jack is gold-colored metal with a combination of plastic and a cover to keep it protected. The housing of the drivers is also plastic. Even though it’s almost made out of plastic, it’s not something that you should get disappointed at because it’s actually great. Aluminum may give you the premium looks and feel but remember, plastic is lighter than aluminum. 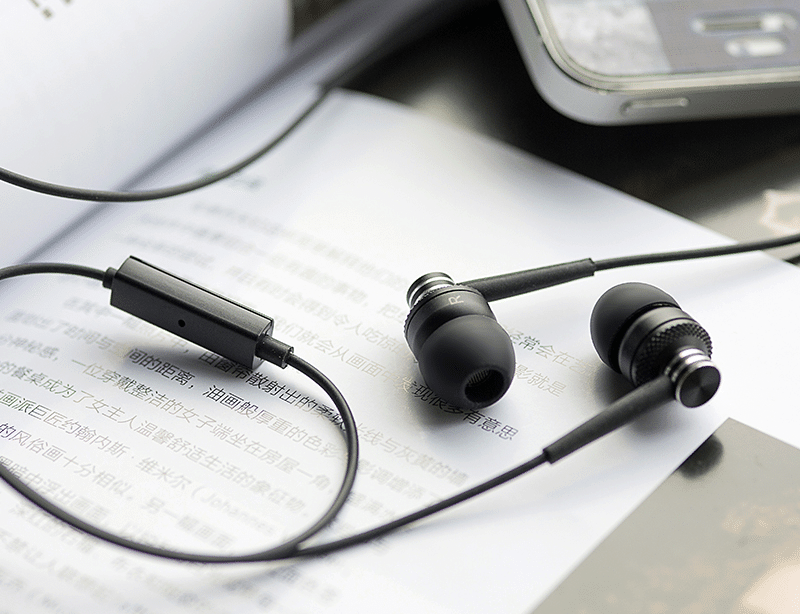 It’s always great to have lighter earbuds since they do better in giving you the best comfort and experience. If you still want to go with aluminum, then the Razer Hammerhead Pro V2 is what we personally recommend. We’ll cover this in detail shortly. Sound quality is great and you have an above average bass output - thanks to the 4 6mm drivers. Gamers will surely experience a quality sound output when gaming with these earbuds. So if you’re looking for a light gaming earbud with outstanding bass output, here it is. If you prefer an aluminum earbud, read on. We initially anticipated the Razer Hammerhead Pro V2 to sit at the second place on our list - if not for the flaws we found out after testing. The downside is because of one teeny-tiny feature that a lot of you guys think is great but instead, offers more disadvantage than benefits. No, it’s not because this doesn’t have RGB lighting. We’ll cover this in detail shortly. For now, let’s talk about the things that we like about it. Razer is a name that we could all guarantee and rely on. They’ve been recognized as one of the best manufacturers of gaming peripherals. 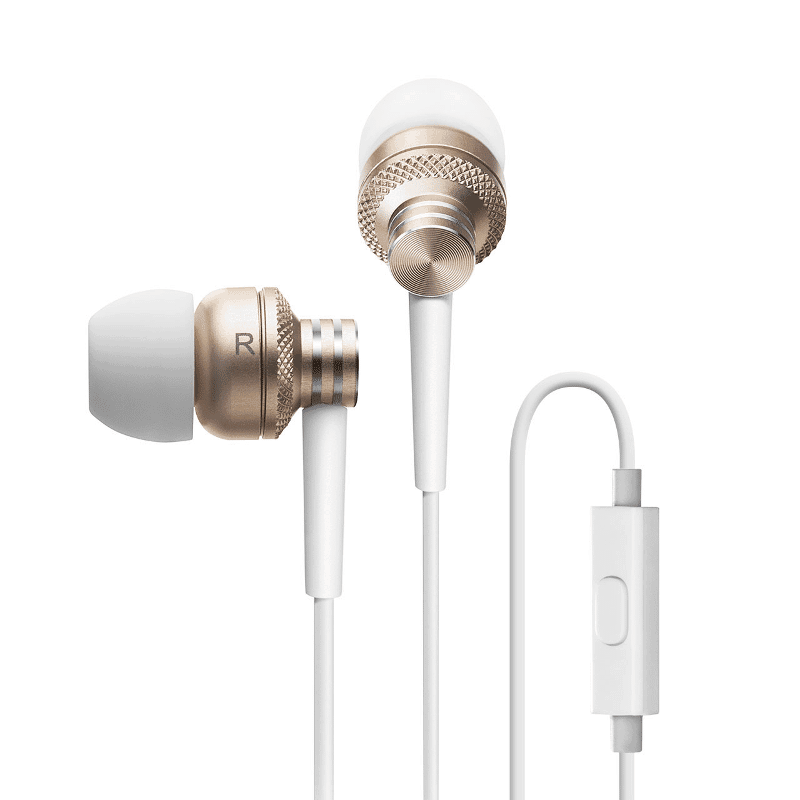 The earbuds themselves are guaranteed to be very durable since these are made of aluminum. You could tell that this is from Razer because of the Razer-y appearance and colors. They actually have the logo on each earbud. 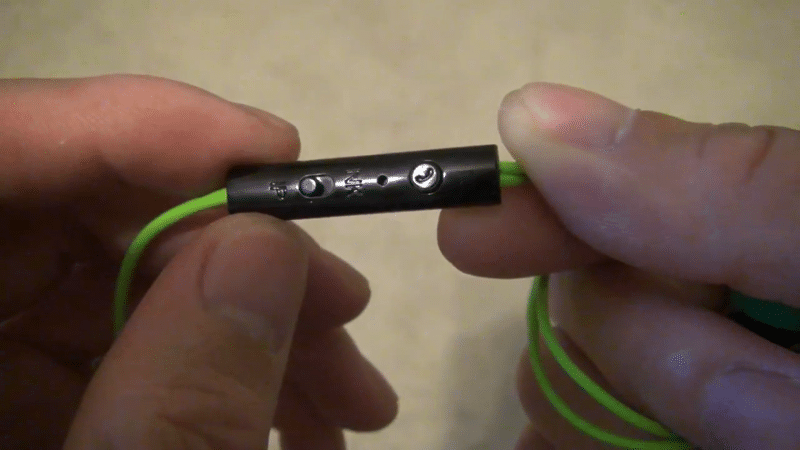 The 3.5mm jack also has a Razer name on it on top of having L-shape design for whatever reason. Plugging them on a PC, the angle works just fine and keeps the tensions on the cables at bay. Quality, build, and flat cables to keep them tangled - they all look great at a glance but let’s talk about the flaws. 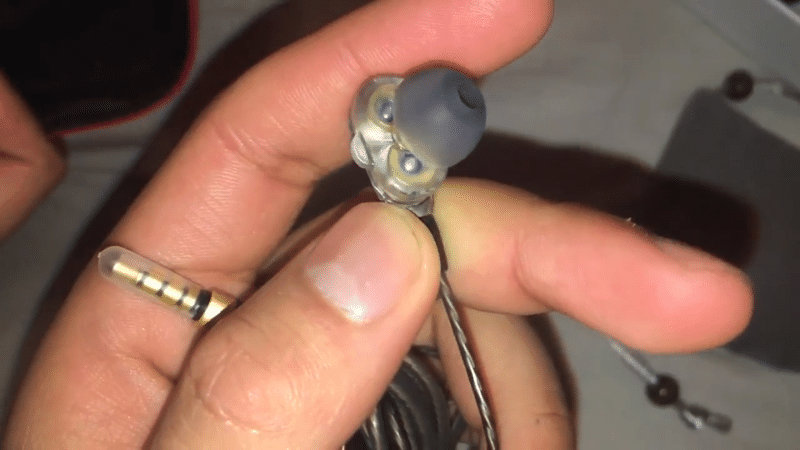 You may have aluminum grade earbuds but they’re actually heavier. All of us tried gaming with these and we constantly have to tug them back in place since they fall off after some time. Another contributor of the weight are the flat cables. They may keep everything from being tangled easily but they also weigh heavier. Also, we found a lot of complaints about the quality of these earbuds. I mean A LOT. If you’re planning to get one of these, you either get a quality one or a faulty one. So it’s somewhat a gamble, really. Luckily, the one we got was a durable one. 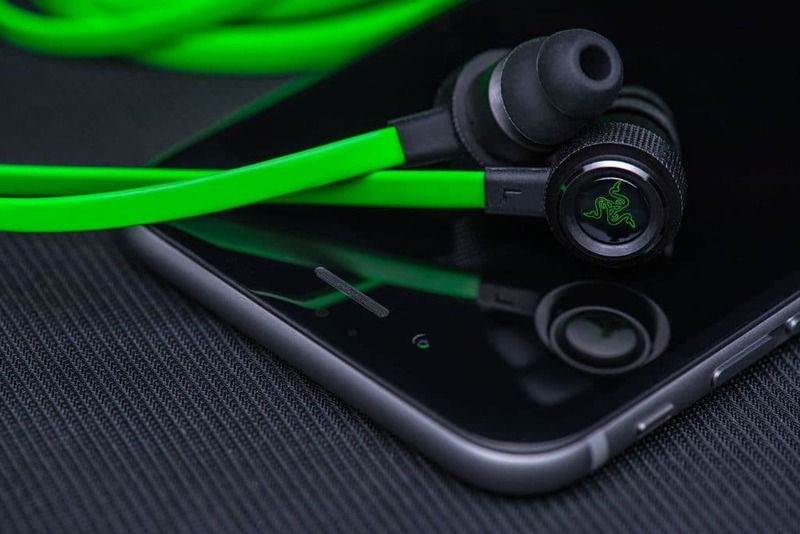 Otherwise, this wouldn’t have made it on our top gaming earbuds for 2019. Nonetheless, these are great for gaming and they perform just like how any Razer peripheral would. But just pray you get a great one should you choose to gamble. We got the gold Edifier P270 and this one actually stood out even though it’s not a gaming earbud to start with. This one is surprisingly lightweight though it has a metallic alloy housing. When it comes to durability and overall design, you could say that this belongs to the premium category. However, they aren’t really premium, so to speak, because they only cost less than $15. Listening to music is where this would stand out. It may not give off a bassy output when listening to music but the treble and general sound output is just fine. One of the reasons why this made the cut to the top 5 gaming earbuds is because of the better sound quality among all the remaining contenders. In fact, if you try to compare the sound output with the GranVela G10, this sound better. Although it’s clear that this doesn’t have any bassy output and sound, it’s surprising that you could actually hear small sounds (like footsteps) better than the GranVela G10. There were even in-game sounds I didn’t know exist until I had these on. Overall, the sound quality isn’t something that’s outstanding but it does a pretty good job at giving off very small sound details. It’s like you’re actually in the game. If you want a bassier output and not totally captivated by the Edifier P270, buckle up since we’re going to talk about our budget pick that offers more features for its price. 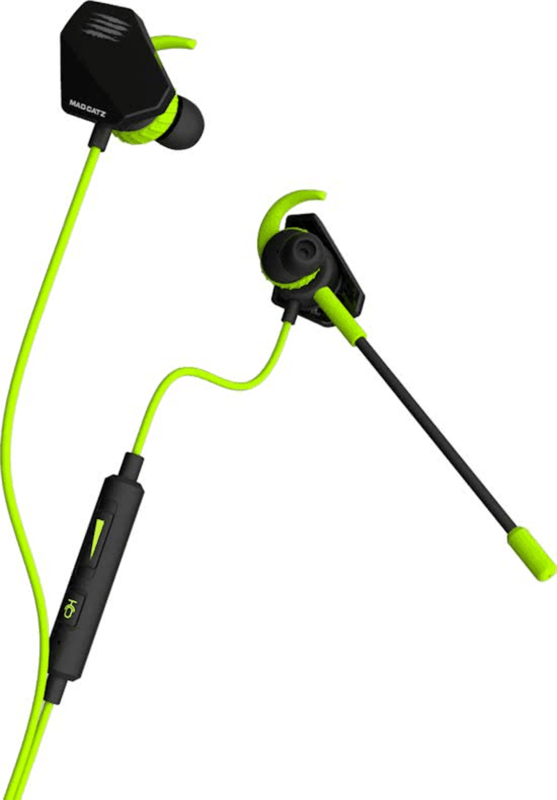 If you are on a tight budget but you don’t want to get crappy earbuds, then here’s the GranVela G10 just for you. It’s the cheapest on our list but bears in mind that it made the cut for a reason. The entire build is rated gamer and you get outstandingly good bass output compared to the Edifier P270. Treble is fine but not outstanding. Unlike the rest of the gaming earbuds on our list, these have extra memory foams that come in various sizes to make sure you get the right fit. The chances of having a shortage of cable from your computer to your ears are very slim because this comes with a very long cable. Everything sounds just fine with the GranVela G10 and one thing that you should take note of is the straightforward controls on the remote. 1 microphone, hands-free controls for answering and hanging calls, as well as a toggle switch for Nokia or iPhone - that’s it. There’s not really a big downside to the unit itself: just that the sound quality isn’t quite as fine as the other, more expensive contemporaries. If you can only afford earbuds that are $15 or less, you won’t be going wrong by choosing these. The only real downside that comes to mind is a lack of volume control on the included remote. This is a minor convenience feature that’s bafflingly replaced with an iPhone/Nokia toggle switch. Additionally, from an aesthetic standpoint, the slick red-and-black design is sure to draw plenty of appreciation. It doesn’t look gaudy or clunky, either. It just looks like a nice set of earbuds. Which Gaming Earbuds Best Suit You? Ultimately, which pair of gaming earbuds you settle on depends on your needs and your personal preference as a consumer. Do you prefer quieter, but more refined audio? Do you like louder, bassier audio? Or do you want both of those, without needing to choose? 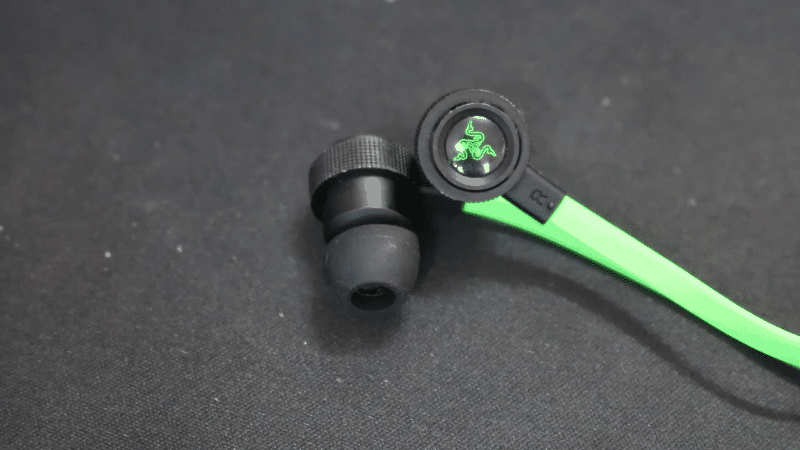 How much are you willing to spend on a pair of gaming-oriented earbuds? Less than $20, or up to $70? These are the questions you need to answer for yourself before you make a selection from our list. These elements combined make the Mad Catz E.S. PRO 1 the best gaming earbuds, at least in our opinion. If yours differs, you’re welcome to comment below and tell us which pair you went with! Best sound quality goes to Razer Hammerhead Pro V2 and ActionPie VJJB-V1S - thanks to the dual 6mm drivers on each earbud, you get a diverse audio output. The Mad Catz E.S. Pro 1 is the earbud with the best microphone quality. The most comfortable gaming earbuds we found is the GranVela G10 - thanks to the memory foam, you’re sure to feel that it’s almost non-existent. Our special mention is, of course, the Edifier P270. It made the cut even though it’s not a gaming earbud to begin with. Which among the earbuds we tested you want to get? Tell us down the comments below! Juzel Albert Padilla has always been passionate about computers. Knowing how hard it is to find a solution for every computer problem, he aims to deliver the best solutions possible through his work on WePC.com. His passion to help and reach out to computer enthusiasts is what pushed him to deliver clear and concise contents. His writings focus on delivering informative tutorials and detailed how-to’s.